Even the finest details are captured with stunning sharpness. Specifically designed without an optical low-pass filter (OLPF), the D5300’s image sensor makes the most of its 24.2-megapixel resolution to sharply capture even the finest textures and render images with incredibly crisp detail. 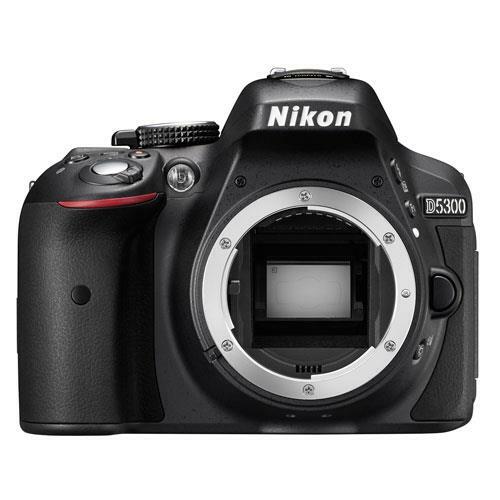 Send images directly from the D5300 to a smartphone or tablet for easy sharing. Simply download the free the Wireless Mobile Utility to your smart device. Geotag your images with precise location information. A great way to get your travel photography ready for sharing. Capture shots from unique perspectives using the flexible swivel monitor. See every detail of your photos and movies, thanks to the large 3.2-in (8.1cm) LCD monitor with wide-viewing angle and high 1,037k-dot resolution. Compose or review shots and apply special effects with clarity whether you’re shooting indoors or out. High ISO (100–12,800, extendable to 25,600 equivalent). Take advantage of great low-light performance to shoot detailed images in dark situations and capture clear shots of fast-moving subjects. Record smooth, finely detailed Full HD video clips you’ll be proud of (at frame rates up to 50p/60p). Continuous Live View autofocus keeps your subjects sharp, even when the action is fast. Thanks to the camera’s built-in stereo microphone and compatibility with Nikon’s external ME-1 Stereo Microphone, it’s easy to capture footage with crisp, clear sound. With the Effects mode, create distinctive photos and movies using a range of special effects. Isolate colours so they stand out, go black-and-white, explore a retro effect, or make buildings look like miniature scale models. You can preview your chosen effect and adjust its intensity as you shoot.